Bonham, Mark S.. "Toronto-Dominion Bank (TD)". The Canadian Encyclopedia, 27 February 2019, Historica Canada. https://www.thecanadianencyclopedia.ca/en/article/td-bank-financial-group. Accessed 18 April 2019. The Toronto-Dominion Bank, commonly known as TD, is the second-largest chartered bank in Canada. The Toronto-Dominion Bank is the result of the past mergers of three financial companies: The Bank of Toronto, The Dominion Bank, and Canada Trust. The mergers began in 1955 when The Dominion Bank merged with The Bank of Toronto. This group then acquired Canada Trust in 2000, creating a new entity called TD Canada Trust. Toronto-Dominion Bank is a public company that trades on the Toronto Stock Exchange and the New York Stock Exchange under the symbol TD. In 2018, TD registered $38.8 billion in revenue and $11.3 billion in profit and held $1.3 trillion in assets. The bank employs more than 85,000 people, who serve more than 25 million customers. Of the three financial institutions that eventually combined to create The Toronto-Dominion Bank, The Bank of Toronto was founded first, in 1855. It was created by a group of flour millers	and grain merchants in Canada West (Ontario), with the hope it would help them conduct their agriculture business. Early on, the bank grew cautiously due to the precarious nature of the agriculture industry. However, The Bank of Toronto had enough success in those early years to open its first branch in Montreal in 1860. The former Bank of Toronto building (c. 1913) at the corner of King and Bay Streets. The building was designed based on the Paris Bourse (stock exchange), with street facades finished in Tennessee marble. 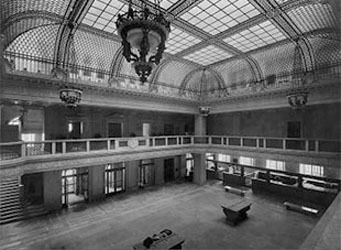 The magnificent interior of the now-demolished Bank of Toronto, formerly located at King and Bay Streets. 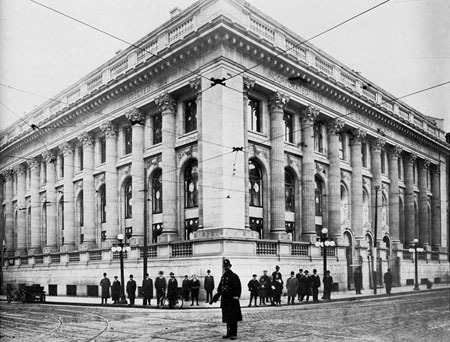 The Dominion Bank of Canada was created in Toronto in 1869 to serve a broader group of agricultural and commercial enterprises, though it did not begin operations until 1871. The two banks retained a close affinity with each other from the beginning and remained comparable in terms of size and influence. The Canada Trust Company was the last of Toronto-Dominion’s founding institutions to be created. In 1901, the Huron & Erie Savings and Loan Society (based in London, Ontario and founded in 1864) bought General Trusts, one of the earliest trust companies established in Canada. Huron & Erie renamed General Trusts “The Canada Trust Company” and operated it as a subsidiary. At the time, Canadian trust companies were limited to acting as trustees, executors and administrators of wills and trusts, and were not banking institutions. As such, The Canada Trust Company remained a small subsidiary of Huron & Erie Savings and Loan Society with little activity for some time. The Bank of Toronto and The Dominion Bank grew alongside the Canadian economy. The Dominion Bank opened its first Montreal office in 1898 and was the first of the two banks to expand into Western Canada with a branch in Winnipeg in 1897. The Bank of Toronto followed this Winnipeg expansion in 1905, and both banks had expanded into all the Western provinces by 1913. By the turn of the century, Bank of Toronto assets totalled $18 million compared with $20 million at The Dominion Bank. 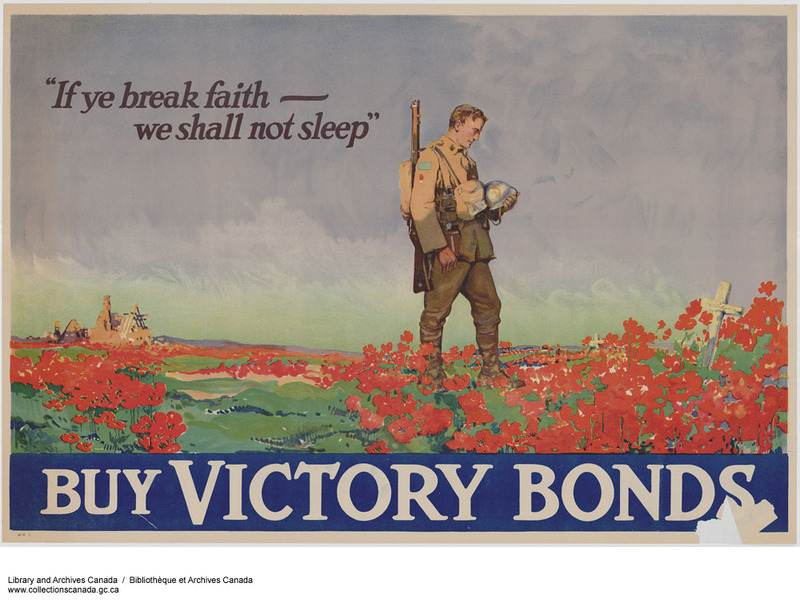 As with all industry, the banks were a part of the First World War effort of 1914–17, and every branch participated in issuing Victory Bonds. After the war, Canadian economic success encouraged The Dominion Bank to open its first New York office in 1919 and its first Maritime branch, located in Saint John, New Brunswick, in 1922. In contrast, The Bank of Toronto never opened a New York branch nor expanded internationally. In 1923, several Canadian banks failed due to financial mismanagement and misconduct on the part of bank managers. As a result, customers feared The Dominion Bank would also go under. As rumours circulated about its ability to operate, the bank experienced an unexpected rush of withdrawals, threating its ability to continue. It was forced to draw on letters of support from The Bank of Toronto and other banks in the country, and a formal statement was published in all newspapers assuring the public of The Dominion Bank’s ability to remain in business. In addition, the Ontario government threw its support behind the bank, depositing $1.5 million. These actions calmed customers and The Dominion Bank survived this early crisis. Both banks faced financial challenges through the Great Depression and Second World War. Ration Accounts (during the Great Depression) and Victory Bonds (during the war) once again became their principal business responsibilities during these years. After the war, The Dominion Bank and The Bank of Toronto participated in the rapid industrial expansion of Canada. Both banks remained almost equal in size but faced increasing competition from other Canadian financial institutions. Chartered banks’ share of total financial assets in Canada declined from 42 per cent in 1950 to 32 per cent in 1960. Each bank realized the need to grow in size to effectively meet this competition and grow their business. Conversations about a merger of The Dominion Bank and The Bank of Toronto began in 1954. The transaction was completed in 1955. The new entity was called The Toronto-Dominion Bank. In 1956, 100 years after The Bank of Toronto was founded, the combined bank had $1.3 billion in assets, 463 branches and 7,851 shareholders. In 1958, shortly after the merger of The Dominion Bank and The Bank of Toronto, Huron & Erie made Allyn Taylor their president. 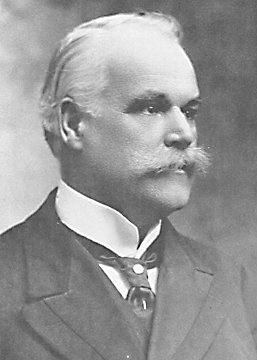 Taylor was also the president of Canada Trust, one of Huron & Erie’s subsidiaries. Taylor had grown Canada Trust considerably by moving it into the pension management industry. It was so successful that by 1962 the company began billing itself as Canada Trust-Huron & Erie, and soon after that the combined operation became known simply as Canada Trust. The name was not legally changed to Canada Trustco Mortgage Company until 1976. Taylor made it clear that going forward, Canada Trust would operate more like a bank by offering larger loan sizes, better deposit rates and the best in customer service (see Banking in Canada). To compete in the growing trust business, in 1963 The Toronto-Dominion Bank acquired the Canada Permanent Mortgage Corporation. Changes to the Bank Act in 1967 limited a bank’s ownership in a trust company to 10 per cent beginning in 1971, and Toronto-Dominion subsequently reduced its holding in Canada Permanent below that threshold. Meanwhile, Canada Trust aggressively expanded its deposit-taking business across Canada. In 1968, Canada Trust acquired the Waterloo Trust and Savings Company followed by Halton & Peel Trust & Savings Company, which solidified the company’s position in the Ontario market with an industry-leading total of 77 branches. For its part, The Toronto-Dominion Bank looked for other areas of business in order to grow. It entered the retail asset management business when it launched its first mutual fund in 1973, the TD Mortgage Fund (see Mortgage). Then, in 1990, the bank launched its institutional asset management business. This began the successful creation of an asset management division that grew significantly over time and became known as TD Wealth. In 1983, the Ontario Securities Commission allowed the new concept of negotiated commissions on stock transactions for the first time. This created the opportunity for financial institutions to open discount brokerage companies (i.e., companies offering lower fees than a traditional brokerage firm). Toronto-Dominion Bank was the most successful chartered bank to take advantage of this change when it launched TD Green Line Investor Services in 1984. The bank partnered with the brokerage firm Loewen, Ondaatje, McCutcheon (LOM) because a bank was prohibited from having a controlling interest in a brokerage operation at the time. 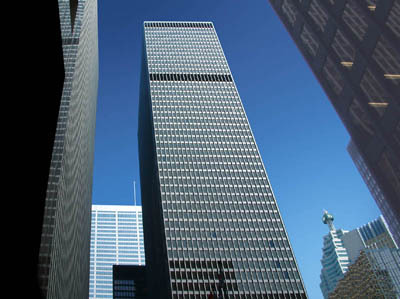 When the Ontario Securities Commission granted Toronto-Dominion an exemption to this rule, the bank bought out LOM’s ownership position in 1984. TD Green Line then consolidated its leadership in discount brokerage operations when it bought discount broker Gardiner Group in 1987. By 1996, TD Green Line accounted for 70 per cent of the discount brokerage business in Canada. When the Bank Act was amended in 1987 to permit banks to own brokerage firms, Toronto-Dominion created the full-service brokerage firm TD Securities. The investment advisory firm TD Evergreen was established in 1993. Also in 1993, Toronto-Dominion bought discount brokerage firm Marathon Brokerage and consolidated it into its TD Green Line operations. Changes were also occurring at Canada Trust. In 1985, Genstar Corporation (a network of companies with operations in both Canada and the US) took over Canada Trust. Genstar had previously purchased the Canada Permanent Mortgage Company and it merged the two financial companies into one under the name The Canada Trust. 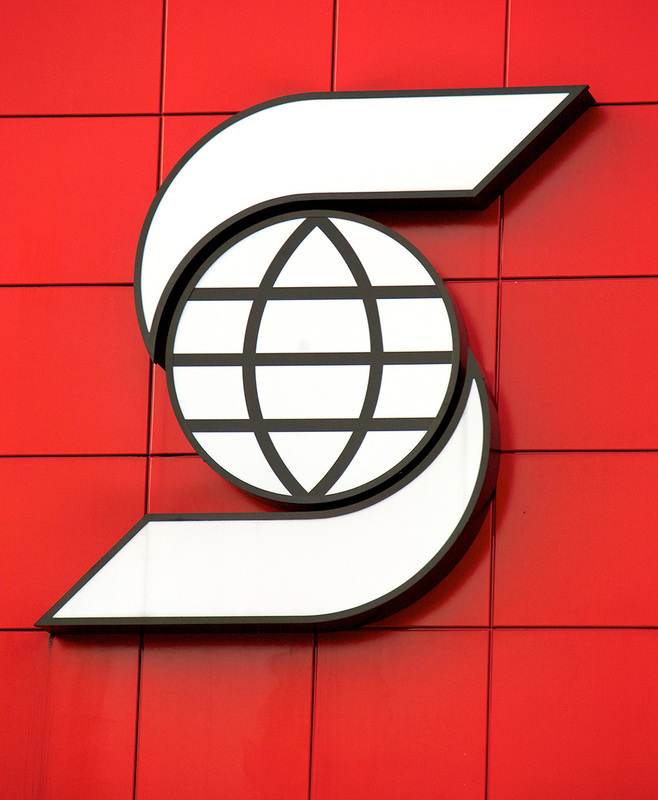 As a result, the new entity became the sixth-largest financial institution in Canada. In a surprise move, in April 1986 the diversified holding company Imasco Ltd. took over Genstar, and ownership of Canada Trust changed once again. The trust company industry went through significant change in the 1980s and 1990s. Interest rates rose due to inflation. At the time, most of the trust companies had invested significantly in the real estate industry, which suffers during inflationary periods. The vast majority of trust companies in Canada were either taken over by chartered banks or closed down. In 1992, Toronto-Dominion Bank grew its operation by acquiring financially troubled Central Guaranty Trust. Canada Trust Company, which had limited its exposure to the real estate industry, was the sole surviving trust company during this period of industry upheaval. To diversify its business outside of banking, TD continued to focus on the discount stock brokerage industry. It purchased the large US discount brokerage firm Waterhouse Investor Services in 1996 for US$715 million to solidify its presence in this part of the US market. TD Green Line simultaneously launched the first electronic online trading network for retail investors in Canada. In 1998, the Royal Bank of Canada and Bank of Montreal shocked everyone when they announced their intention to merge (see Royal-Montreal Bank Merger). As a competitive response, three months later Toronto-Dominion Bank and Canadian Imperial Bank of Commerce	announced their intention to merge should the federal government give approval (see CIBC-TD Merger). In December 1998, the minister of finance declared both mergers void because they wouldn’t be in the best interests of Canadians — the creation of two large banks would limit competition and increase banking risk. The Toronto-Dominion Bank needed to seek alternatives for growth and soon began discussions with Imasco about the last remaining trust company in the country, Canada Trust (see TD Bids for Canada Trust). A successful buyout transaction was completed in 2000. TD Bank renamed its combined Canadian retail banking operations TD Canada Trust. This transaction vaulted Toronto-Dominion Bank from being the fifth-largest bank in the country to the second (in terms of total assets), a position it retains today. The transaction also shifted the culture of the bank to a retail customer-service driven organization (a strength of Canada Trust) from one that had a greater focus on corporate customers (a strength of Toronto-Dominion Bank). The acquisition also gave the new TD Canada Trust a subsidiary in the form of Meloche Monnex, a property insurance company, which Canada Trust had acquired in 1997. Today, the subsidiary operates as part of TD Insurance. In 2000, TD Canada Trust acquired the largest independent institutional stock brokerage firm in the country at the time, Newcrest Capital Inc., for $224 million. It merged Newcrest Capital into TD Securities. In 2005, TD Canada Trust agreed to sell its discount brokerage unit TD Waterhouse to US competitor Ameritade, renaming the combined company TD Ameritade and retaining a 45 per cent ownership position of this new entity. TD Canada Trust made the move in order to gain access to Ameritrade’s customers. 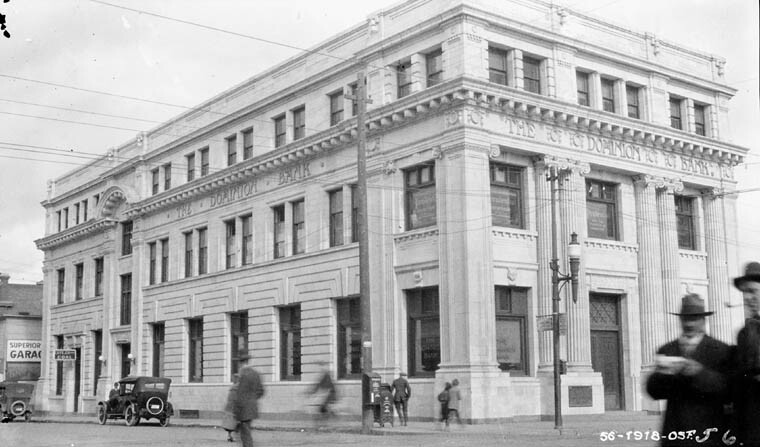 TD Canada Trust then began pursuing growth in the banking industry in the United States. In 2005, it purchased Banknorth of Portland, Maine, and renamed it TD Banknorth. To TD Canada Trust, Banknorth was a logical acquisition candidate because it brought a culture of successful acquisitions, having itself been created through a series of mergers and acquisitions of northeastern US banks. After integrating the Banknorth operations, TD acquired the lucrative operations of US-based Commerce Bancorp in 2008 and merged it with TD Banknorth, renaming the combined US operation TD Bank. This transaction gave the bank prime retail branches in New York City, New Jersey, and Connecticut and a retail-focused culture akin to the original Canada Trust operations. Through these two US bank acquisitions, by 2013, TD Bank Group had more branches in the United States than it did in Canada. Canadian operations still generate the majority of the organization’s income. In other lines of business, in 2011, TD Bank Group acquired US-based Chrysler Financial, the auto-lending arm of the Chrysler auto group, for US$6.3 billion and rebranded it TD Auto Finance. That same year, TD Bank Group purchased MBNA Canada’s credit card business for $8.6 billion and merged this into its existing credit card operations. When TD assumed ownership of the Aerogold VISA credit card brand in 2014, the bank became the largest credit card issuer in Canada. In 2013, TD Bank Group acquired US money manager Epoch Holding Corporation for US$668 million to launch its US wealth management operations. The corporation was combined into its TD Wealth subsidiaries as part of TD Asset Management. In 2018, TD Bank Group acquired Toronto-based artificial intelligence (AI) company Layer 6. The bank is developing machine-learning solutions to offer more personalized customer service. Through Layer 6, TD is also partnering with the University of Toronto on AI applications for health care (e.g., using machine learning to create more personalized and effective diabetes treatments). A company that manages assets on behalf of someone else, eventually transferring them to a beneficiary. Resources, such as property or other possessions, with economic value. A company that acts as the middleman between buyers and sellers. Interest is a percentage of the amount of money owed by a borrower to a lender. The size of the percentage is referred to as the interest rate. The rate at which the prices of goods and services rise.